Did you know that Sage publishes a semi-regular email newsletter for Sage ERP MAS 90 and 200 customers? You can read this from within your MAS 90 or MAS 200 launcher – or if you prefer you can follow the link below to view the newsletter online. 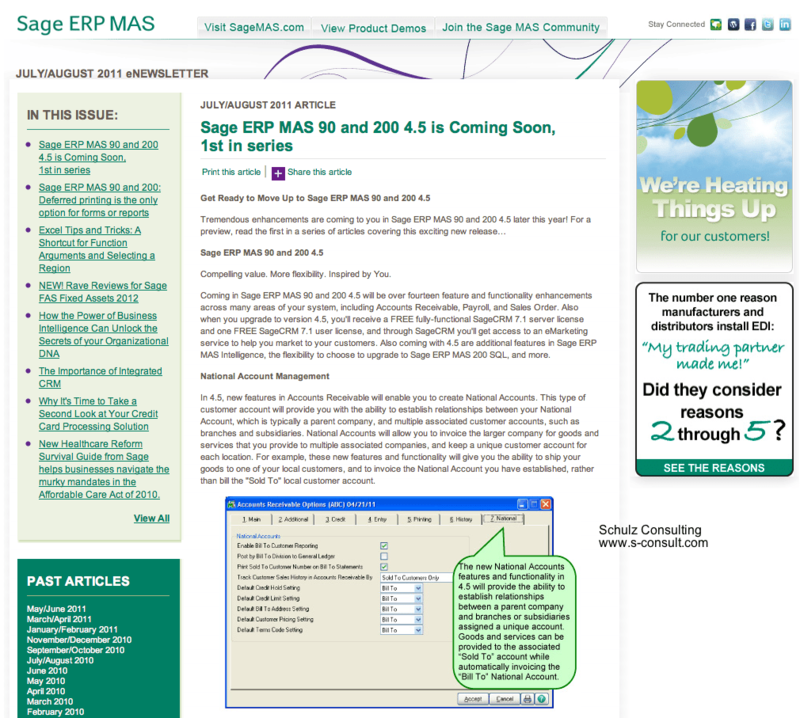 It appears that the newsletter for September/October 2011 has yet to be published however this August issue has a good overview of the features to be expected in Sage EPR MAS 90 and 200 v4.5 which was released to new customers on September 8, 2011 and will ship shortly to existing customers and partners. Want to stay updated on all the latest MAS90 news? Subscribe to the Schulz Consulting email newsletter and every Tuesday we’ll send a summary of all the newest items on our web site. Click here to subscribe to the Schulz Consulting newsletter. Did you know that administrators of LinkedIn Groups can send group announcements to all members of their group who’ve not opted out of those announcements (they’re turned on by default so most members receive them). These announcements can be sent up to once per week and are completely free as part of your participation in LinkedIn as a group administrator. You can’t send them in any format other than plain text though there does not appear to be any restriction on what you can insert to the mailing – including links to your own web site outside of the LinkedIn group. Access the feature from the group’s manage menu. And for even more reach consider opening up your LinkedIn Group to the public so that links you may share can be browsed even by non-group members. The Peek folks didn’t waste any time rolling out the update to their low cost wireless email devices. Word of the new Peek Pronto first appeared online about a week ago. Today we have the Peek Pronto. Available at $79 in any color that you like — so long as it’s gray. Before you get too excited about this low cost BlackBerry alternative – consider that it carries a $19 per month email recurring service fee. 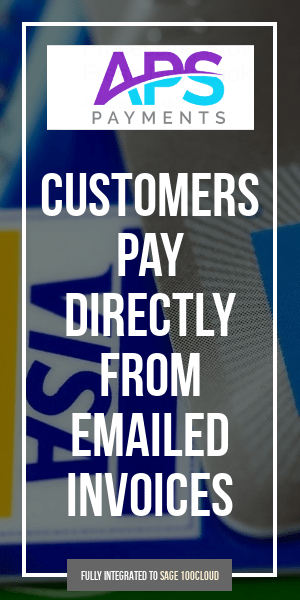 For that fee you receive – 5 email accounts, push email, unlimited text messaging. Given that in the USA Peek is running these devices on the T-Mobile data network, it is worth pointing out that BlackBerry devices (specifically the BlackBerry 8900) are currently available for $49 (with new contract and 2 year commitment). The monthly fee for BlackBerry Internet Service is only $25 (and can be shaved back to $19 with some begging off of the bundled 400 text messages). The Peek device is not capable of web browsing, has no camera, and cannot play music or movies. The absence of these features may become more important to you the longer that you use the device. I know that my BlackBerry 8900 has become my substitue camera (it includes a 3.2 mp lens that takes decent pictures) as well as mp3 and video player. On the plus side for Peek is the fact that you won’t have to enter into any contract. You can also pick up their email device for $79 directly from Target – where their older device is still available for $49. My recommendation is that if you’re looking at using a device for wireless email you should invest in a BlackBerry. If your primary use of a device would be music or video – buy an iPhone. It’s truly become (almost) a two device mobile race. At least it will be that way until the Palm Pre arrives in the first half of 2009.